Why does it take brains to understand autism? You may have heard about Autism BrainNet and its mission to increase awareness about the need for postmortem brain tissue in autism research. I appreciate that few people want to talk about death – either their own or that of a loved one. At the same time, we know that we can help people with autism by better understanding where and how autism develops in the human brain. Autism Speaks, in keeping with its mission to be a catalyst for research that improves the lives of people who have autism, played a crucial role in launching Autism BrainNet in 2013. Today, more than 2,000 people are registered as future brain donors, and close to 80 families have now taken the heroic action of donating a deceased loved one’s brain for autism research. What causes autism and when does it develop in the brain? We know that different types of autism develop in different ways from different genetic causes, sometimes in combination with environmental influences. At the same time, brain-tissue research has revealed important commonalities between most or all forms of autism. 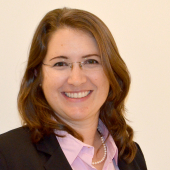 For example, in 2014, an analysis of brain tissue by UCSD’s Eric Courchesne and his colleagues found that autism-associated brain changes consistently arise in certain layers of the cerebral cortex during a specific window of prenatal development. (See “Direct Evidence that Autism Starts During Prenatal Development.”) The brain tissue used in the research came from the Autism Speaks Autism Tissue Program, which became part of BrainNet. * control inflammation and other immune functions in the brain. In addition, research on brains from people who had autism have identified several brain regions as particularly involved in some of autism’s most-disabling symptoms, as illustrated below. To enlarge image and text, click here. Still other studies using brain tissue have produced important clues on how environmental exposures – such as prenatal exposure to chemicals, stress and deficiencies in a mother’s diet – can affect brain development in ways that appear to increase the risk of autism. Can we turn these findings into treatments? Donated brain tissue allows scientists to look directly at the microscopic features of neurons (brain nerve cells) and the connections between them. For example, in brain tissue from people with autism, researchers have found an overabundance of dendritic spines – the projections on the neuron’s surface where it connects with other neurons. This overconnectivity may lead to a range of autism challenges such as difficulty processing information, including sensory stimuli (sights, sounds and touch) and language (speech, written words, etc.). Researchers at Columbia University took this information and, using lab animals, found that they could reduce abnormal numbers of dendritic spins on neurons with a drug called rapamycin. The results are promising, but much work remains to be done before we know whether this could be a safe and effective treatment for people. I hope this brief overview answers some questions – and maybe raises some more for you. 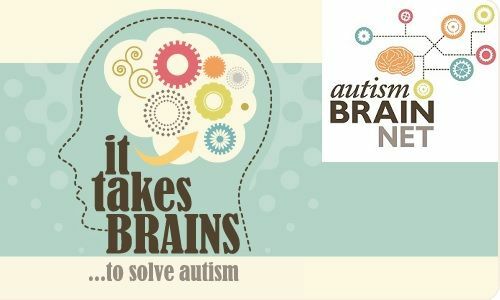 We invite you to learn more at www.takesbrains.org , the outreach program of Autism BrainNet. You can also subscribe to a quarterly newsletter by signing up at www.takesbrains.org/signup. Subscribe to Autism Speaks’ Science Digest to receive autism research news and expert advice posts delivered quarterly to your inbox. 1 in 68: What Do Autism’s Rising Numbers Mean for Our Families?